Gerald laced up these PEs during his lengthy stint in Charlotte. Before a stop in Portland and his most recent landing spot in New Jersey/Brooklyn, Gerald Wallace (unfortunately) spent six and a half seasons with Michael Jordan's Charlotte Bobcats. While with the organization, the boss hooked G-Force up with this Player Exclusive colorway of the Air Jordan 13. 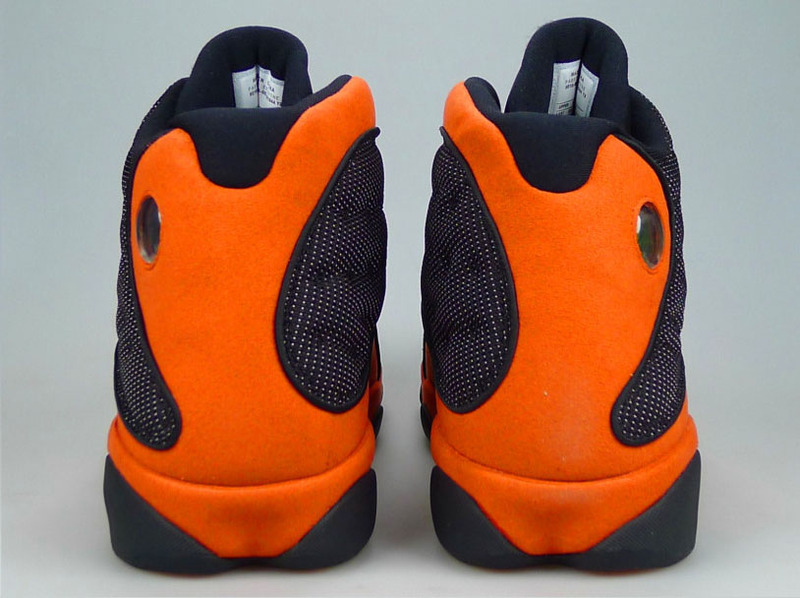 Pretty much a direct take on the Black/Red colorway that originally released in '98, this Wallace exclusive features a black tumbled leather and ballistic mesh upper with orange suede accenting the heel and midsole. 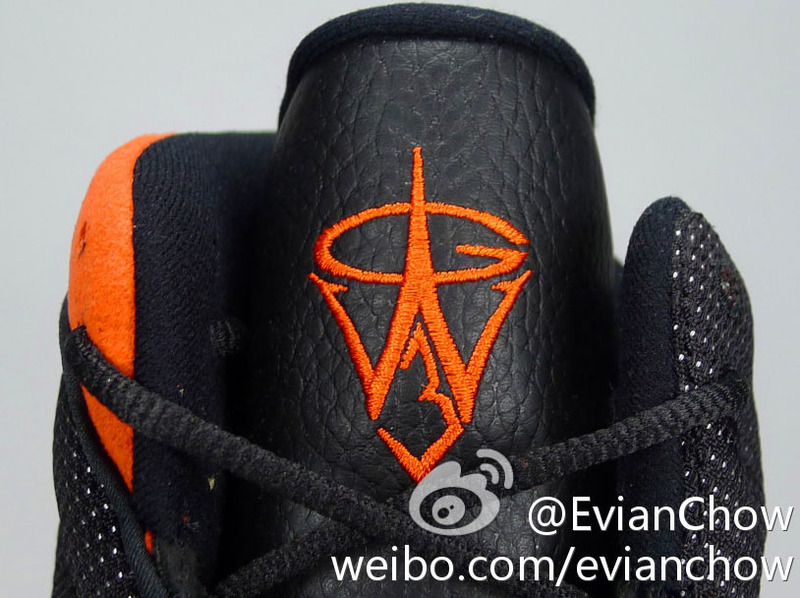 Also done in orange is the Jordan tab above the toebox and the custom "GW3" logo on the tongue. 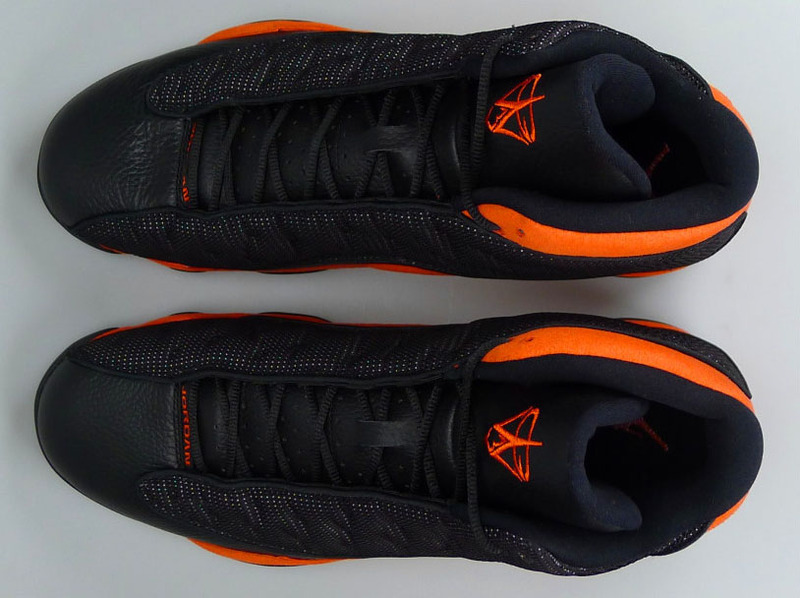 Below, black works the pods and outsole to cap off the look. 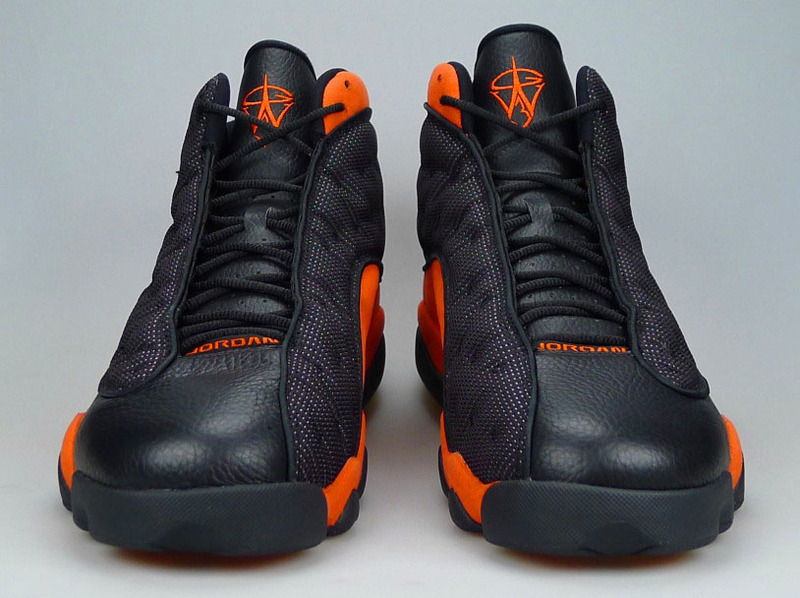 Read on for more photos of Gerald's PE 13s. 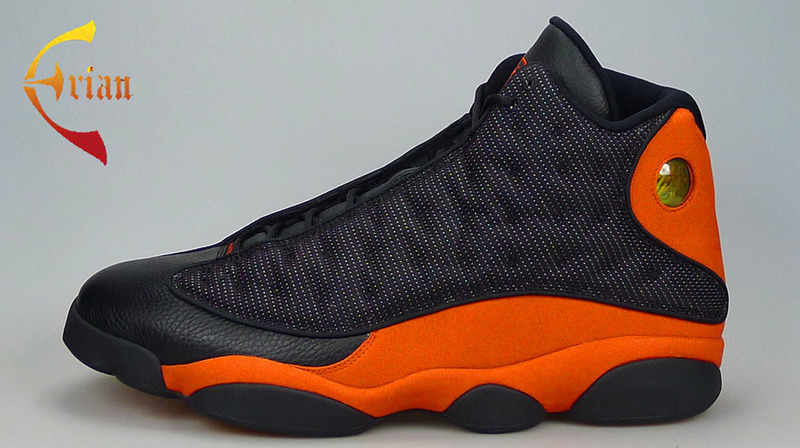 Would you like to see a Black/Orange colorway hit retail in the future?